2,611 students and 200 officers, directors and special guests from 76 colleges in 21 states of Mexico will attend the conference, as well as one student from Costa Rica. 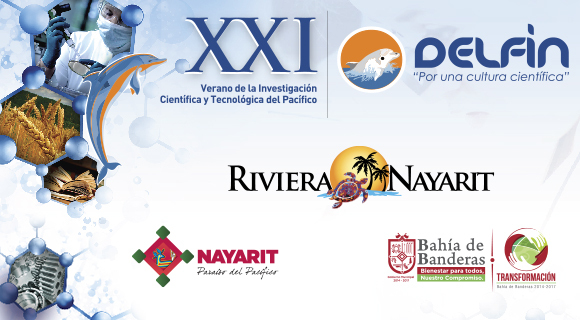 The Riviera Nayarit will host the National Conference of the XXI Summer of the Scientific and Technological Research of the Pacific, part of the Inter-Organization Program for Strengthening Research and the Pacific Graduate Program, commonly known as the Dolphin Program. The RIU Hotels will host the presentations of 1,952 scientific investigation projects, as well as sports, cultural and artistic activities from August 17-20, 2016. The service infrastructure, the acceptance of the participants and all of the facilities provided by the Government of the State of Nayarit and the Riviera Nayarit Convention and Visitors Bureau have been instrumental to the longevity of the event. “This is where we found the service, the perfect space and the geographical location we were seeking,” said MVZ Carlos Humberto Jiménez González, Chief Coordinator of the Dolphin Program. “The Riviera Nayarit’s location has been key for these institutions; it’s much more convenient to get here from anywhere in the country. The Riviera Nayarit is the preferred venue for this scientific academic community, as over half of their conferences have been held in Mexico’s Pacific Treasure.